Another quarter has gone by and I have still not completed anything on the list! I have made progress on most of it though! I really should just work on one thing at a time, but where is the fun in that! 1. 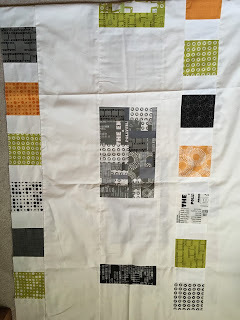 Tula Pink City Sampler -- I am still piecing the backing using left over fabrics and it is nearly complete. I ran out of the Kona bone so stopped to order more. Although, that said, I have had it rather a long time now, so I just need to actually sew it to the rest of the backing and it's done. 2. 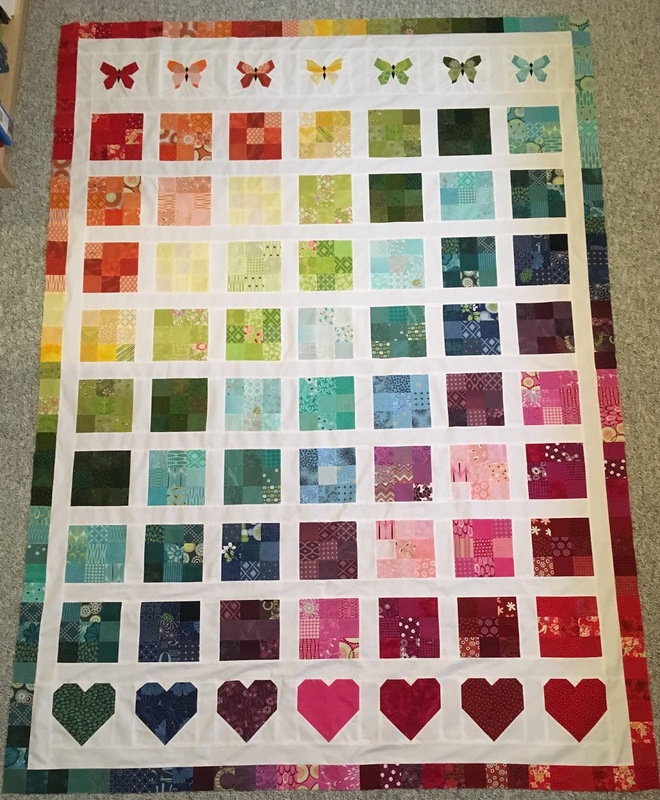 Rainbow 9-patch -- the front is now complete and the backing is part way there. Ran out of butterflies, so I need to make a few more of them before I can continue. 3. 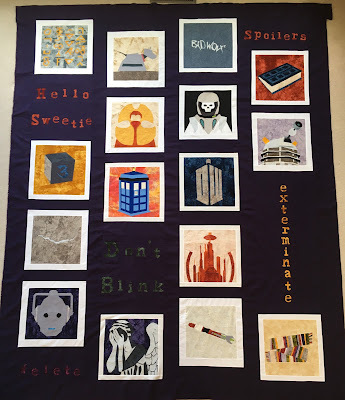 Doctor Who -- I finally completed the top! Yay! Now, the backing! 4. Harry Potter -- All the blocks have been posted now, just waiting to see what Whims and Fancies has in mind for the layout! But for now I continue to, gradually, duplicate some of the blocks. So that's it. 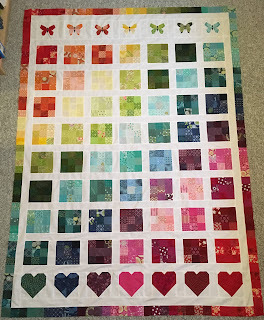 My main focus is to complete the rainbow 9-patch quilt this quarter! Although progress on the others would be good too! 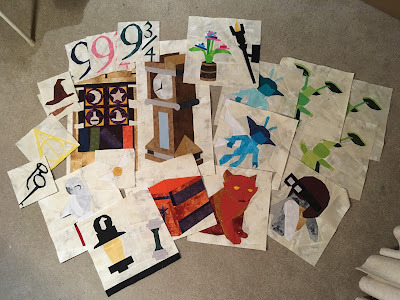 I really want to complete something!